Interior Design of a Mews House Dining & Living room in Chelsea, London. 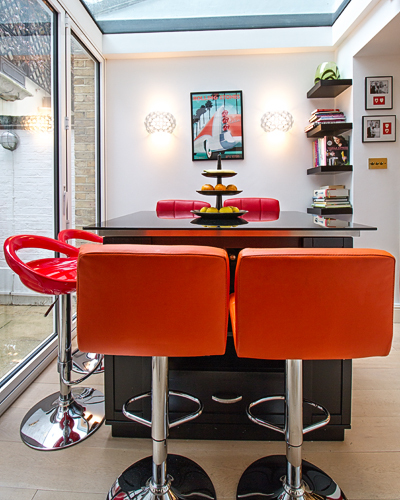 The brief was to create a retro, Rolling Stones inspired, statement dining & living room with bright colours and retro finishes to compliment my clients art collection and love of music. 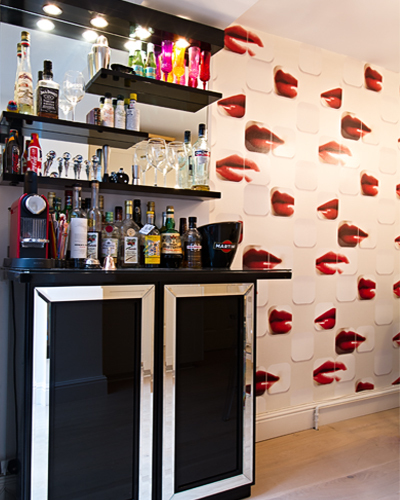 We used a perfect red lips wallpaper for their statement dining room area, designed a bespoke bar serving sideboard and kitchen island, perfect for all types of entertaining along with colourful retro bar stools. 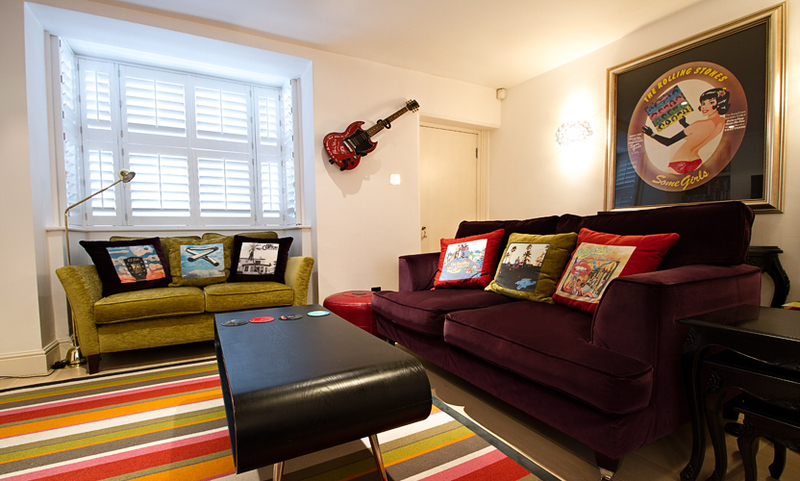 In the living area we introduced velvet upholstered sofas and had prints of my clients favourite vinyl music covers made into scatter cushions for a nice personal touch. Creating a vibrant, unforgettable, statement room, perfectly suited to all their entertaining as well as functional needs, but most importantly with their personalities and love of music incorporated in every element of this fabulous room.